The application of ventilation and air conditioning systems within a commercial building often varies as greatly as the types of systems and equipment utilized. Ventilation of air may be used for anything from removing heat from a computer closet to or removing moisture from a locker room area to providing comfortable fresh breathing air to the building occupants. Air-conditioning also serves many purposes as well from again he or removal from a computer closet or squeezing moisture out of the year from a locker room two providing comfortable dehumidified breathing air to the building occupants. Proper identification of AC and Vent systems during a commercial property inspection or property condition assessment is essential for accurate reporting. While air conditioning is sometimes considered more of a luxury ventilation is a requirement. A very experienced inspector or reviewer very well may recognize most types and conditions of space cooling and ventilating systems utilized, but often the opinion of a seasoned expert is still beneficial. Ventilation air is sometimes delivered naturally as in open windows, it may also be a power ventilated. Air-conditioning and the other hand is almost always electrically derived, even evaporative cooling systems generally require some form of power assistance, thus no electricity no cooling. 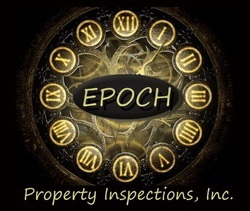 As a with any building system commonly found on a commercial property routine inspection and condition assessment followed by application of proper maintenance materials and techniques is of utmost importance in ensuring the longevity of any space cooling and ventilation system. Examples: Compressors, condensers, cooling tower, evaporative cooling, scroll chiller, cooling coils, forced air, variable air volume, ventilation air, dehumidification, condensate pump, circulating pump, chilled water supply lines, glycol solution, piping insulation.